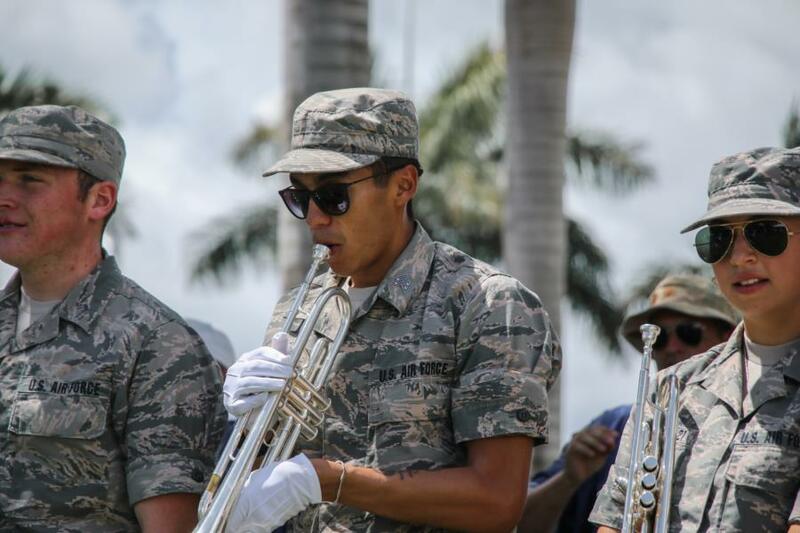 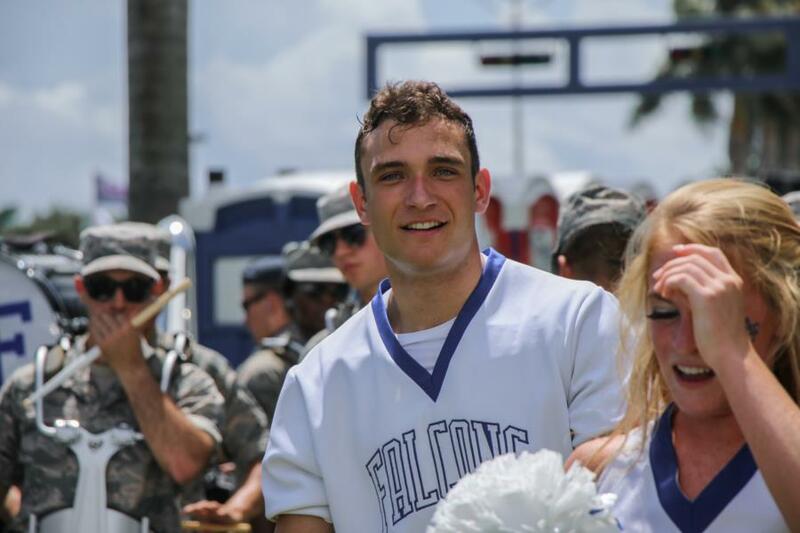 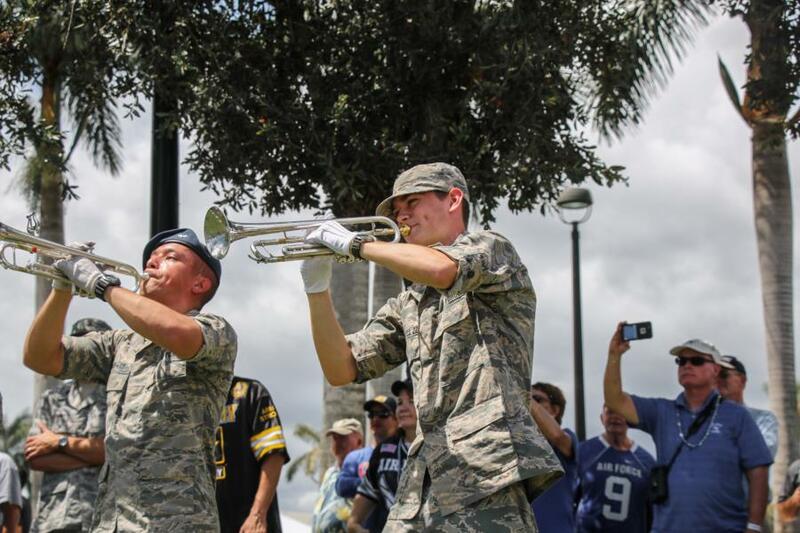 Over the last couple of months, the Association of Graduates has traveled to Florida and New York to host the Air Force Tailgate for away football games. 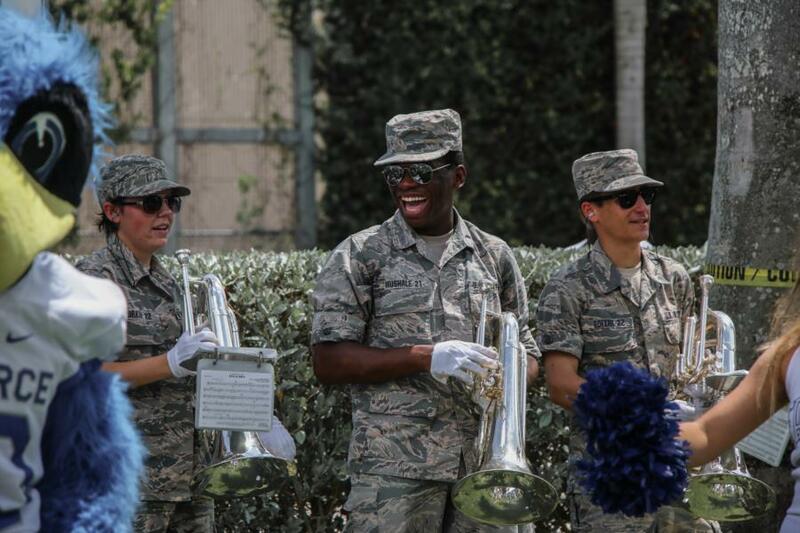 We were there as well, catching the Cheer Team and Drum and Bugle perform at the tailgates. 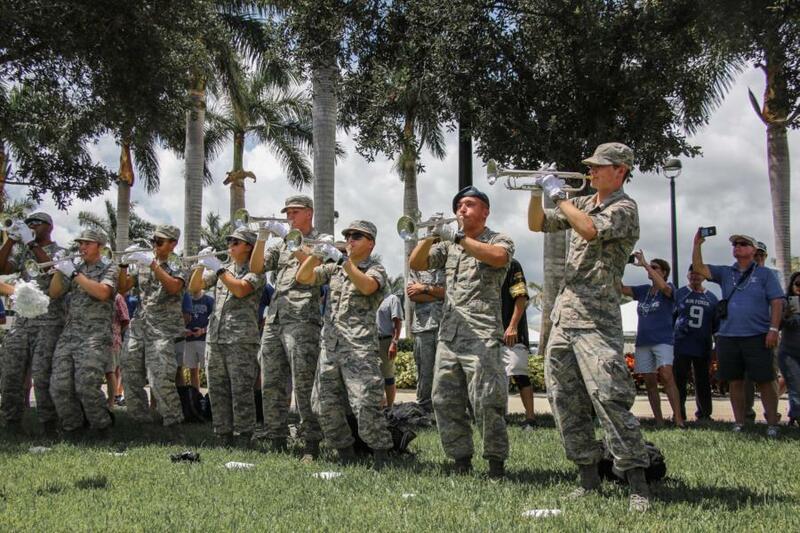 Nice to have a change of scenery, who doesn’t love palm trees! 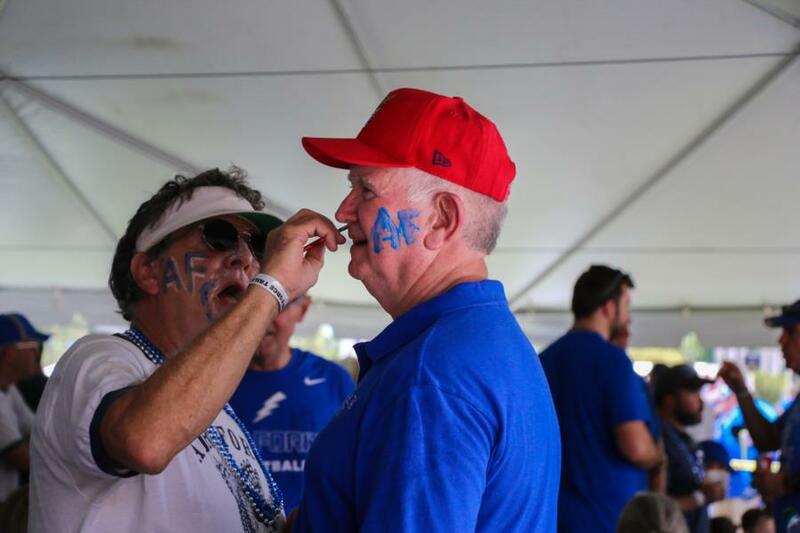 It wouldn't be a tailgate without the face paint! 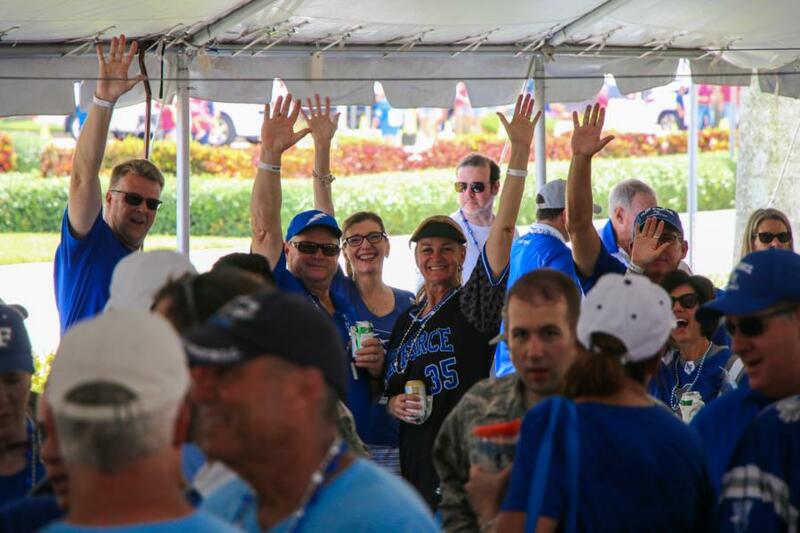 To view the rest of the photos from the tailgates go to Galleries > Public Gallery (photos start on page 332). 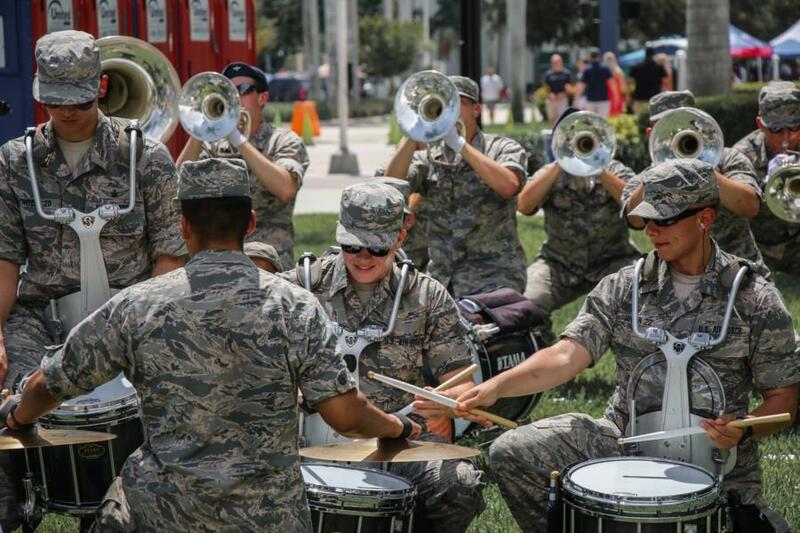 Also Drum and Bugle parents, there are some additional photos of the team practicing at Falcon Stadium!